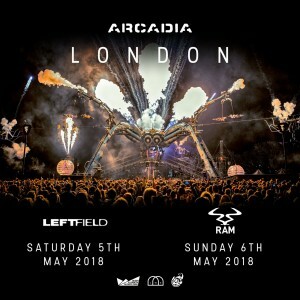 Electronic music Icons Leftfield, and Andy C’s Drum & Bass Institution RAM Records have been announced as the inaugural hosts for Arcadia’s London Festival, set to take place at The Olympic Park in May. 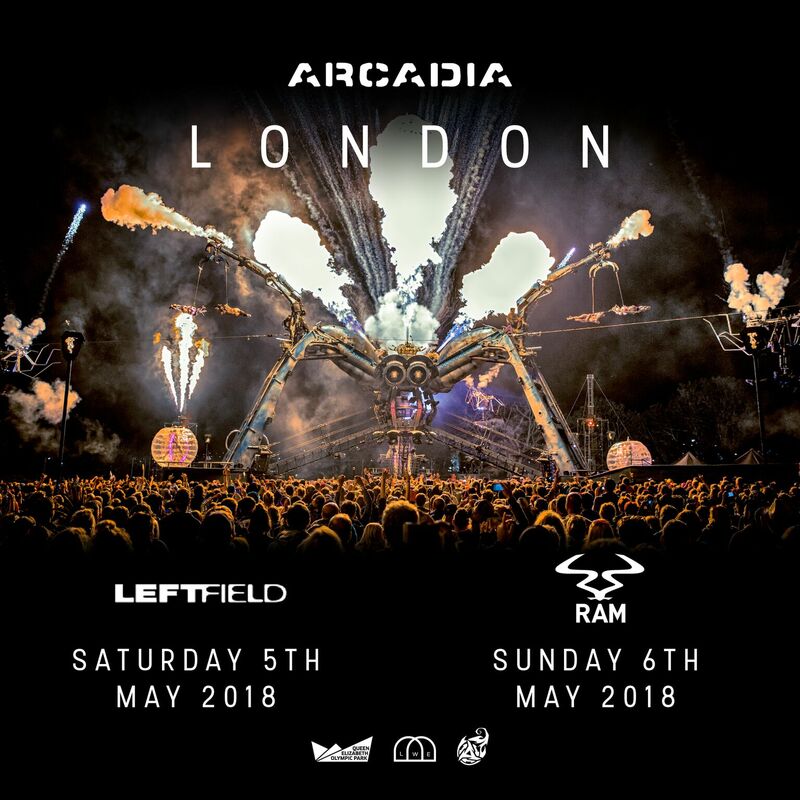 Taking place during Glastonbury’s Fallow year, and celebrating 10 years of the iconic structure, the Arcadia group will be bringing the immersive structure for a weekend-long event. Built from reclaimed military hardware, the all-engulfing structure roars with 50-foot flames, crackles with multi-million volt lightning bolts, and swarms of strange creatures swoop from the sky. Tickets and accommodation to Arcadia London go on sale at 12 pm on Friday 8 December.